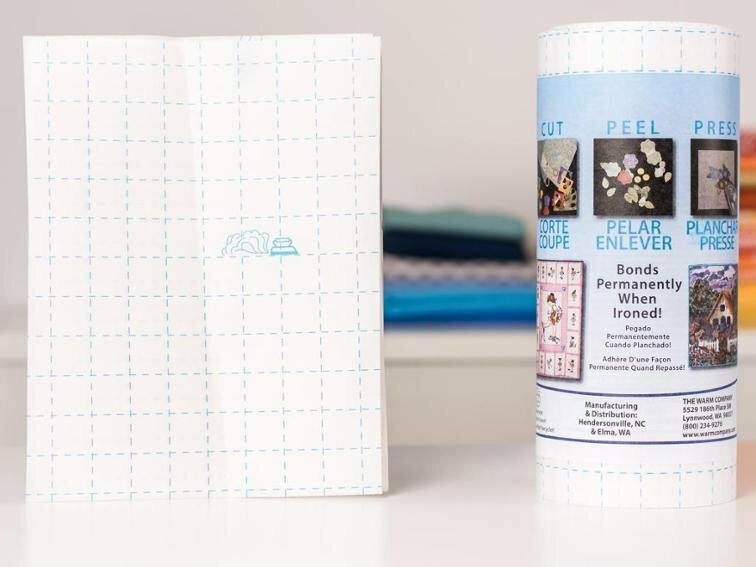 Lite Steam-A-Seam 2 Double Stick has a pressure sensitive adhesive that allows for a temporary hold to both the appliqué material and the background material. There is no pressing until your entire appliqué is in place. Once fused, can be machine washed and dried or dry-clean. (the manufacturer does not recommend drying with a dryer sheet) Bond is strong and permanent. Will not gum up your needle. The Lite Steam-A-Seam is 1/2 the weight of the regular version. Ideal for sheer & lightweight fabrics plus delicate ribbons, trim and lace. Double stick iron-on fabric fusing web. Use for applique; will not gum the needle.